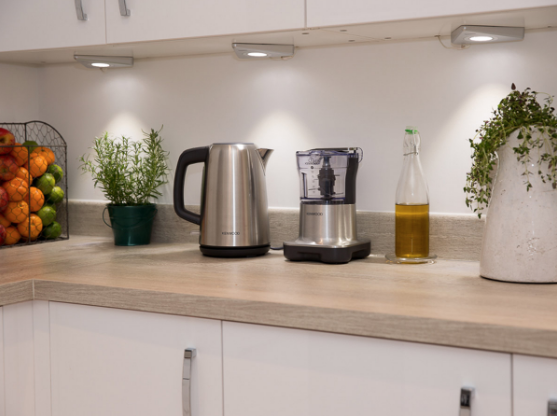 If you live in London in a flat then there is a high chance that you don’t have the biggest kitchen, leaving little space for kitchen gadgets. That is where the Kenwood Veggie Express comes in, as this must have food processor takes up very little space and is a three in one as it slices, chops and grates! This little dream item is so easy to use and enables you to prepare fresh food in minutes, making healthy eating simple. The base chopper has two blades, so you don’t have to worry about half of the container being left with unchopped food. The blades move quickly and are very sharp, meaning you can chop almost anything. I made a mean salsa in seconds! The base is very sturdy as the suctions stick like glue to your countertop and when you use the top slicer you can safely pop the vegetables in and push them down slowly. We can’t gush about this item enough, as it really is perfect for slicing, grating and chopping. So if lack of time stops you eating healthy, this wonderful time saver can get you munching on those tasty fresh veggies in minutes and grate a little cheese for you to sprinkle on top. You can even grate or slice straight onto your plate! With two speeds and a simple push down control, preparing food is fast and easy. When chopping, a short burst will ensure more coarsely chopped results and there is even a mayonnaise lid so you can make your own dips. 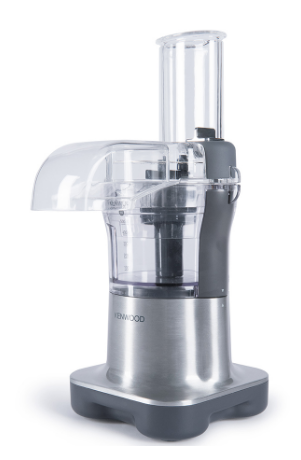 It’s time to get healthy with ease with the amazing Kenwood Veggie Express and you can thank us later, as we know you will fall in love with this spectacular food processor as much as we have. The Kenwood Veggie Express is great value for money at only £79.99 and once you buy it, you can use it for any meal.